If you are laptop/PC user you probably prefer to use an email client rather than a web browser to access your Hotmail or Outlook.com account. 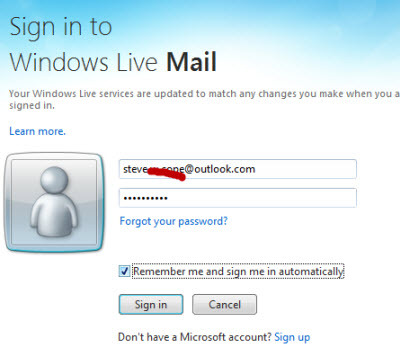 Windows live mail accesses your Hotmail or Outlook.com account using the same protocols as a web browser i.e. http, and not IMAP4 or Pop3 which are common for other accounts like Gmail and Yahoo Mail. 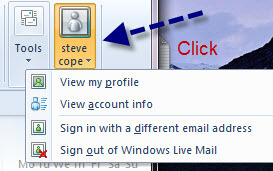 To set up access to your outlook.com/hotmail account you need to click the sign in icon on the top right of the menu bar..
Then enter your email address and password into the sign in window. A new account will be created and appear in the left column. The folder that you see under the account, and the emails you see are exactly the same as if you were to login to your Outlook.com account using your web browser. 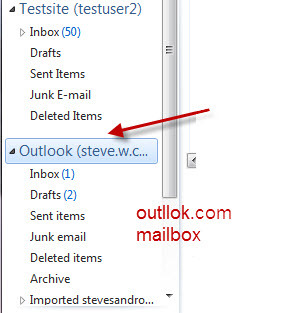 Contacts from your Outlook.com or hotmail.com account are synchronised to your Windows Live mail client and vice versa. 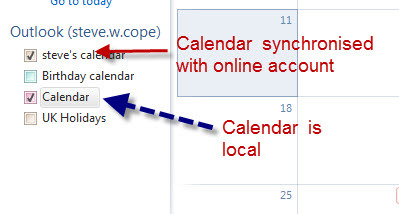 Your outlook.com calendar appears under calendars on the Windows live mail client and is synchronised. 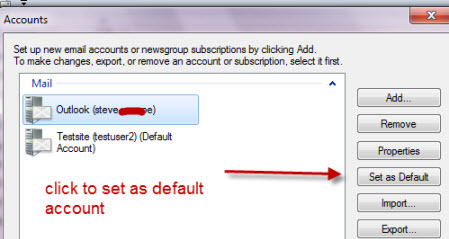 If you are accessing multiple email accounts then you will need to set a default email account. The first account you created is usually the default account. 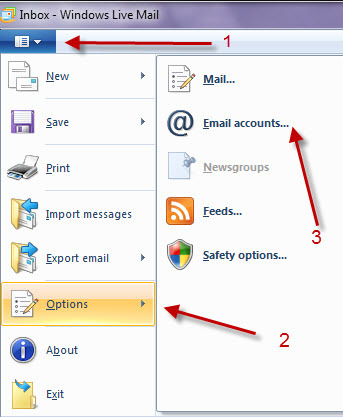 To set your new outlook.com account as the new default account click on menu>Options>Email accounts. If you click on Calendars then you should see several calendars which are all enabled by default. They should also be assigned different colours which you can change. The Calendar appears on the right and, by default, displays all of the events from all of the enabled calendars. The outlook.com calendar is synchronised with the outlook.com account, and is the one you should use. The other calendar is local,and can be used without an online account. You don’t need to stay signed in to your hotmail or outlook.com account. You can disconnect from the account, and even sign into another account, if you have one , by clicking on the sign-in/sign-out icon and choosing your option from the drop down links. This YouTube video cover the main points from above. Windows Live Mail gives you easy access to your outlook.com or hotmail email and calendars and is the ideal client for using with any of these accounts.